Downbound in the St. Marys River, May 24, 2016. 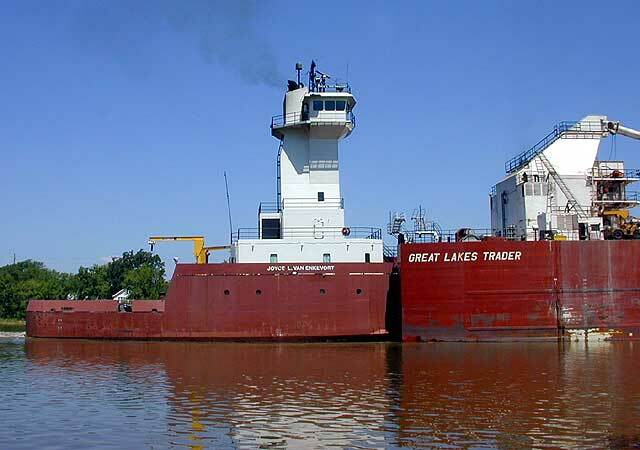 Built for Great Lakes Marine Leasing and operated by Van Enkevort Tug and Barge of Escanaba, MI. 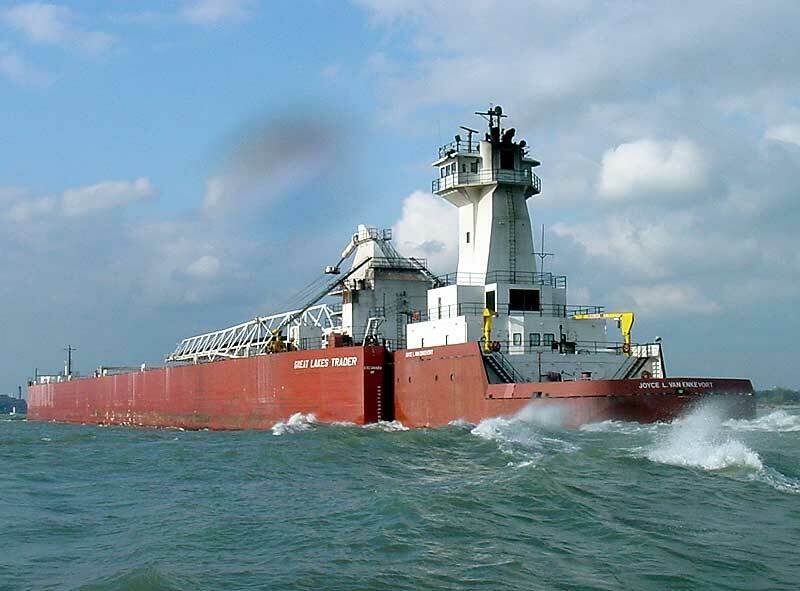 Great Lakes Trader is pushed by the 135 foot tug Joyce L. Van Enkevort, which was built in 1998 by Bay Shipbuilding Co., Sturgeon Bay, WI. The tug is powered by two 5,100 b.h.p. Caterpillar 3612 12-cylinder diesel engines. 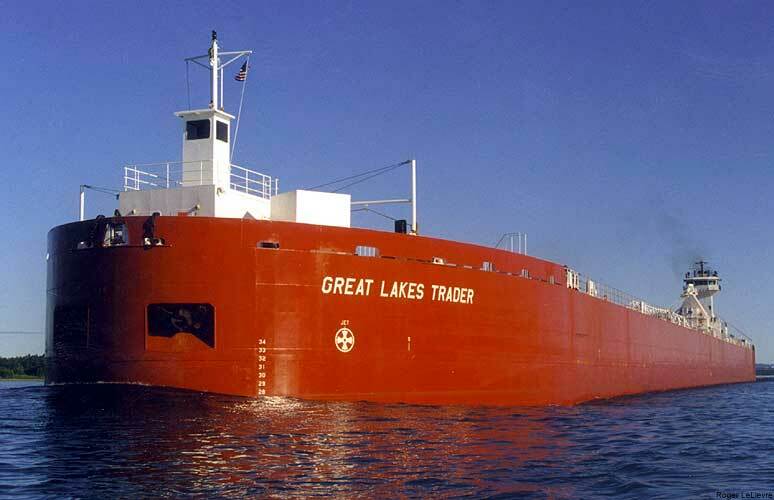 Great Lakes Trader was constructed in two halves at Halter Marine's yard in Pearlington, MS and then towed to the New Orleans yard to be joined together and outfitted. The tug sailed from the Great Lakes to New Orleans to be mated up with the newly finished barge for the return trip back to the Great Lakes. 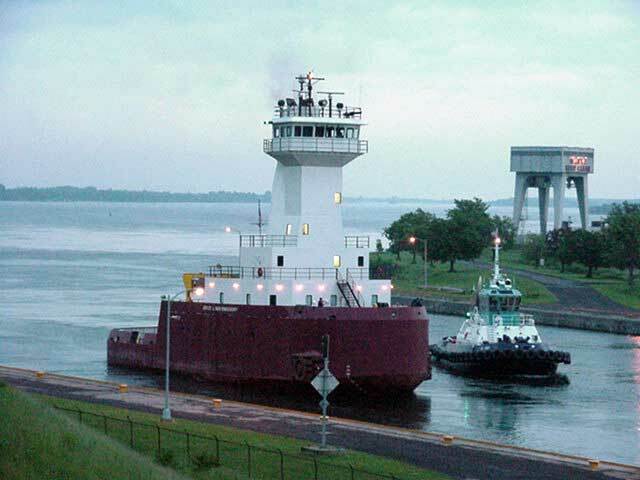 The pair departed the Gulf on May 28, 2000, and arrived on the lakes in mid-June after transiting the St. Lawrence Seaway. Special care had to be used in transiting the locks because of her size. 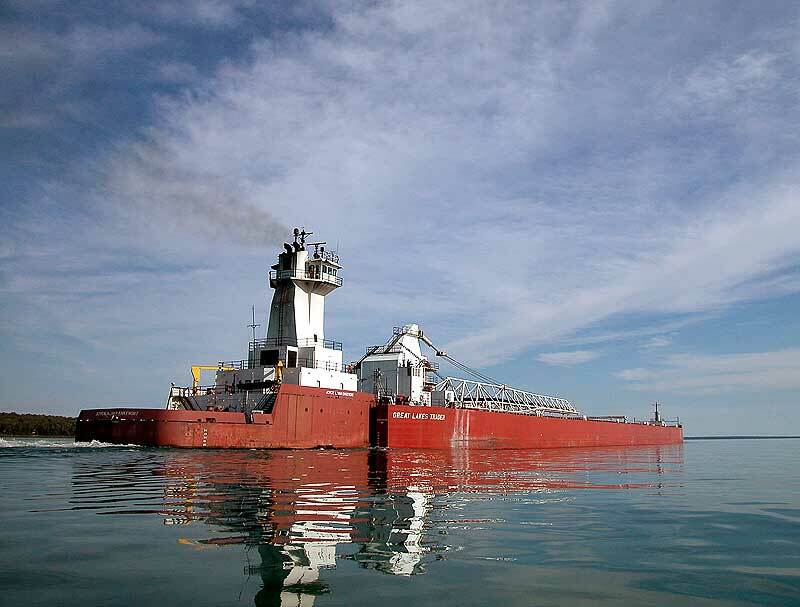 The Trader is the 16th largest carrier on the Great Lakes, with maximum seaway dimensions of 740 x 78 feet. 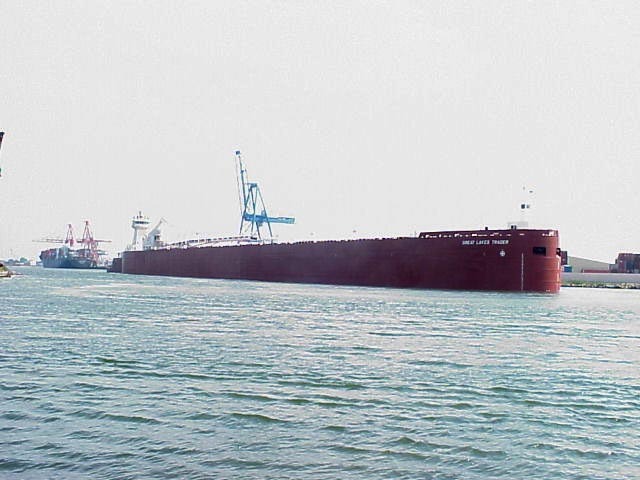 Her cargo capacity is 39,600 tons. 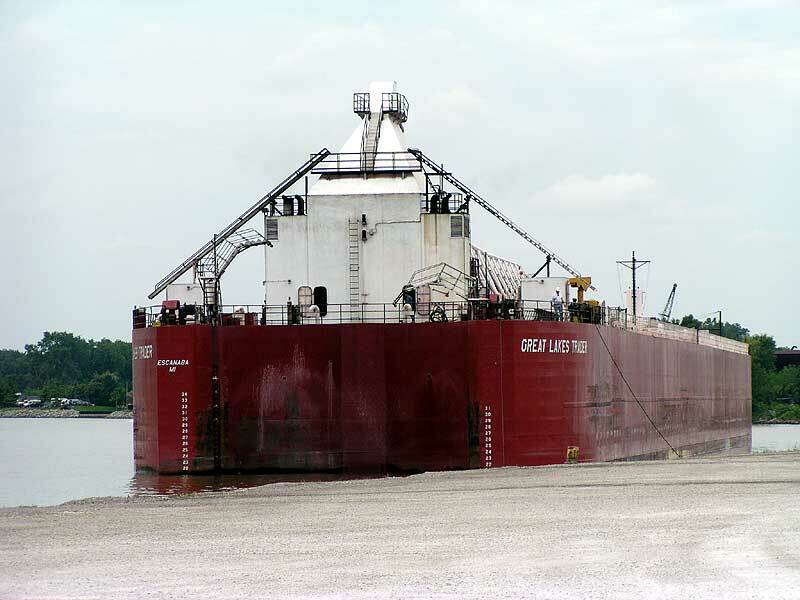 The Great Lakes Trader loaded its first cargo of taconite for Indiana Harbor, June 23, 2000 in Escanaba. 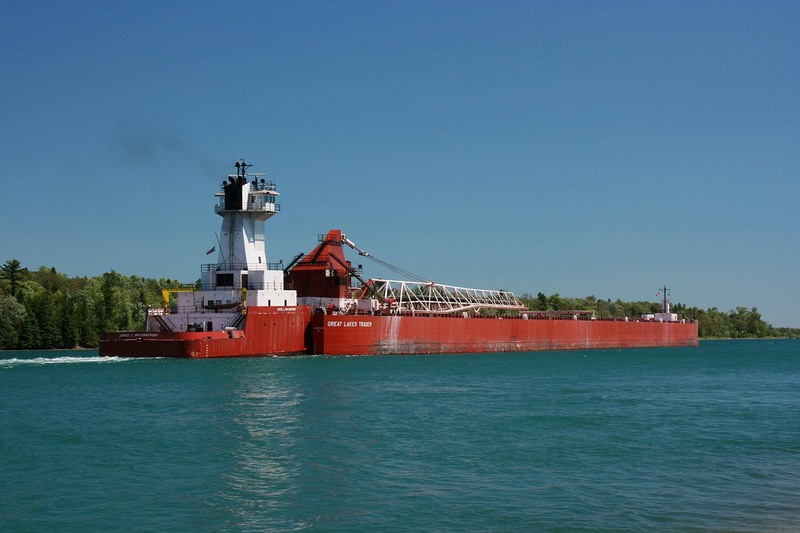 Since then she has been a frequent visitor, not only to Escanaba, but to Lake Superior ports, carrying ore for various customers around the lakes and stone cargoes to various ports. 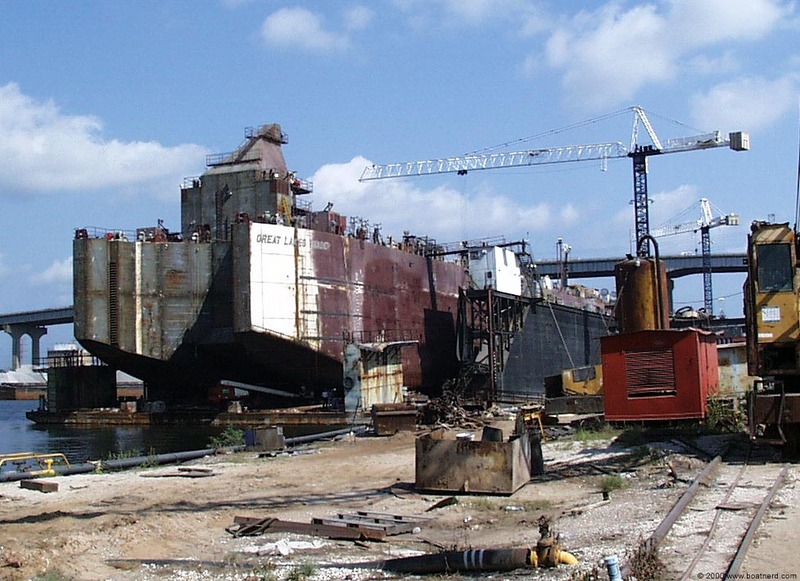 Stern view of the barge at Halter Marine's shipyard in New Orleans. The boom waiting to be installed. Close up of the vessels name. 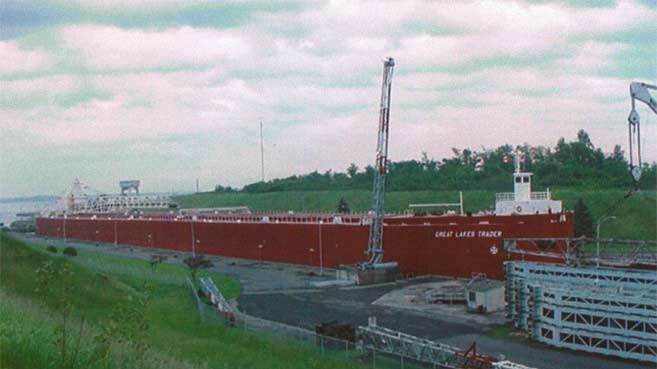 Great lakes Trader filling the Iroquois Lock to capacity. H-9901 secured in the notch ready for the lock to be filled. 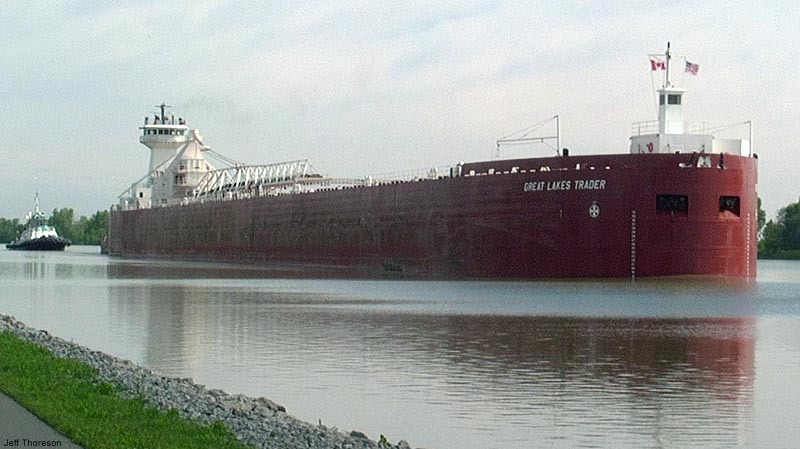 Joyce L. backing out of the lock and the H-9901 entering to push the Great Lakes Trader. 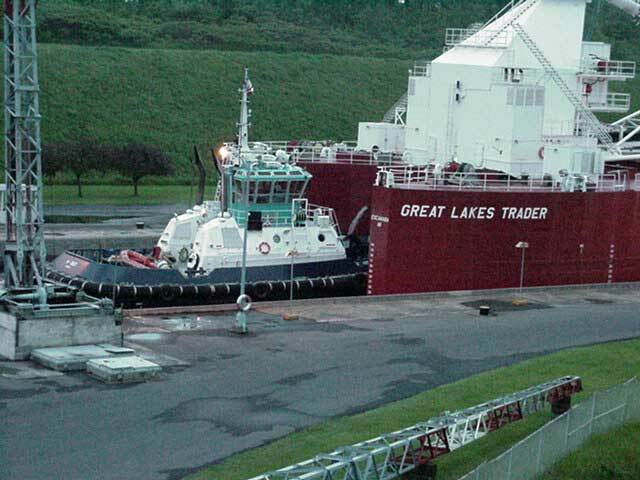 Great Lakes Trader upbound in the Welland Canal followed by the tug H-9901. 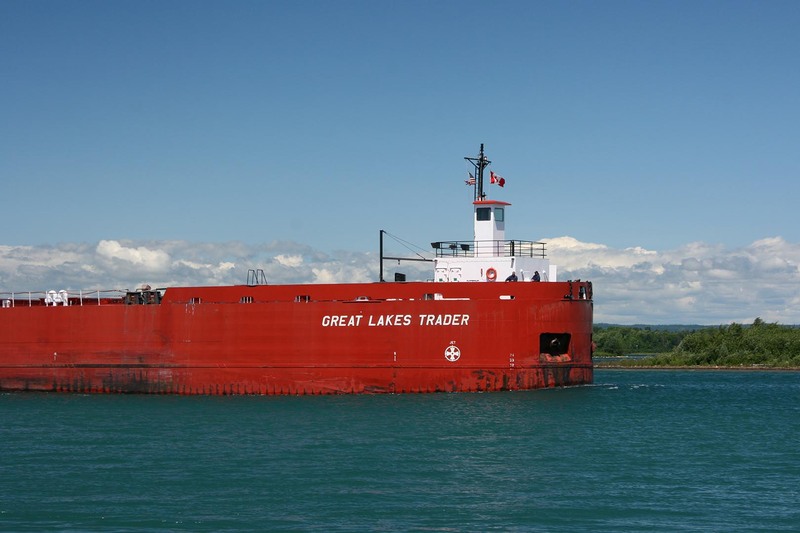 The barge Pathfinder passing the Great Lakes Trader in the Welland Canal below Lock 3. The Pathfinder was on a rare trip down to Quebec City, June 17, 2000. 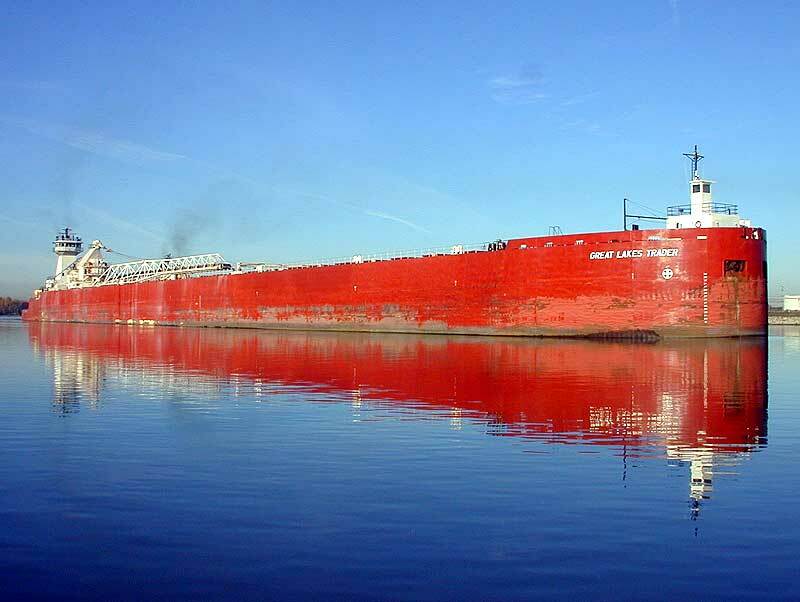 Loading in Escanaba on first trip, June 23, 2000. Stern view on the Detroit River. 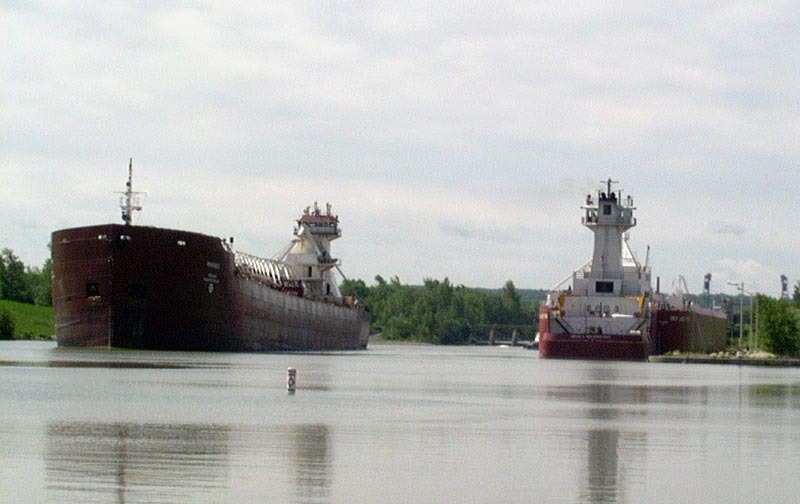 Close up of the tug, June 19, 2001. 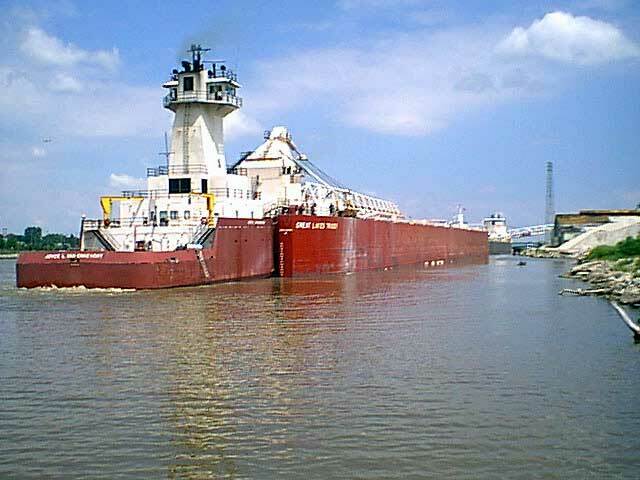 Pulling up to a dock on the Saginaw River, June 22, 2001. Calm morning, Oct. 22, 2001. Windy day on the Detroit River, May 2, 2002. 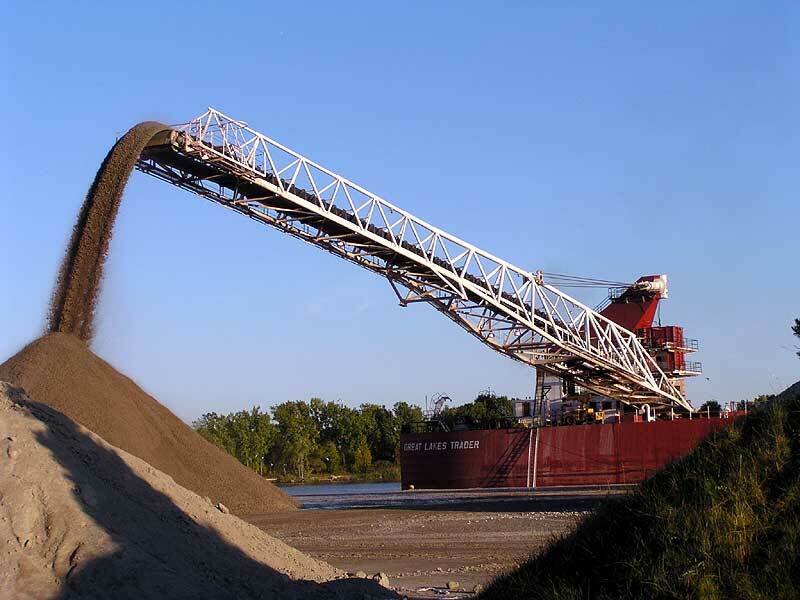 Tug out of the notch on the Saginaw River, Sept. 1, 2003. Unloading in Saginaw, Sept. 21, 2003. 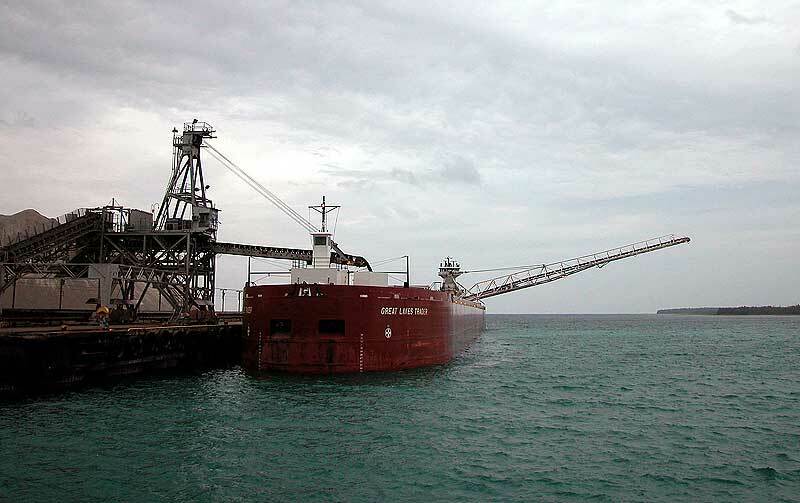 Loading in Marquette, Aug. 2004. Loading in Escanaba, Dec. 2004. Downbound in the St. Marys River. 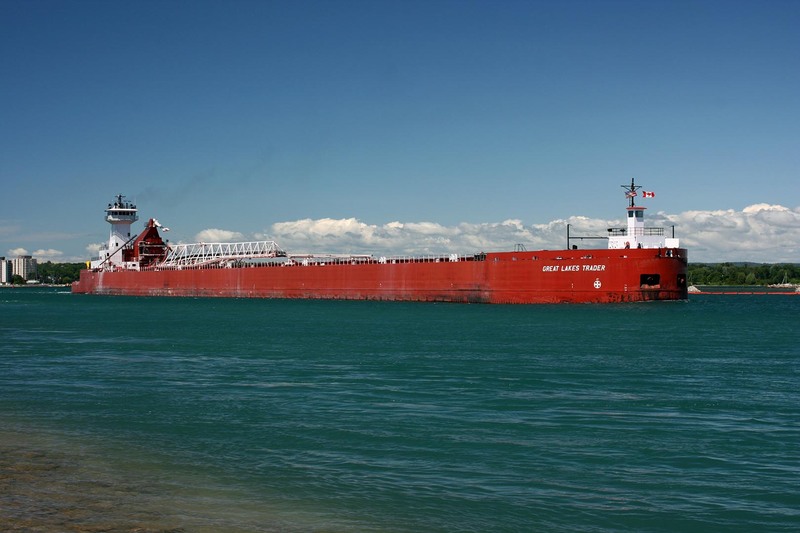 Coming off Lake Huron, March 29, 2009. About to go under the Blue Water Bridge. Entering the Duluth piers, April 10, 2010. Downbound at Mission Pt., June 30, 2010. Close up of the bow. Passing through the fog on the St. Marys River, May 21, 2011. Making her way through the ice in the lower St. Marys River, April 1, 2014. Ojibway delivering supplies, May 24, 2016.